Lighting that big gala, a backyard party or a movie studio set is easier than ever, thanks to our collection of advanced-technology remote control lighting at ShopWildThings. 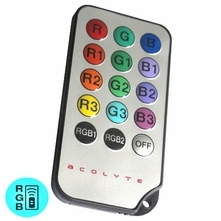 Remotely control on/off functions, and change light colors with the RGB Point N Party remote for event lighting. We carry Acolyte brand remote control lighting for LED bulbs and wall lighting tasks. Our event lighting products are built to use again and again. Our products are lead-free and have energy-saving LED bulbs. We offer the option of battery-operated or plug-in remote-control event lighting. Install our cordless remote-control LED light saucers in pure white or soft white on ceilings or walls. Our LED submersible discs in white or your choice of colors can be placed inside vases and clear glass columns for a dazzling special effect. We carry color-changing wax pillars and remote-controlled light bulbs with 16 rotating colors. 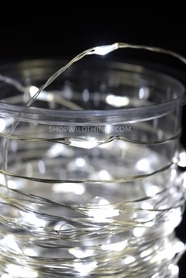 Shop our under-vase remote control mini lights and remote-operation party lanterns. Our remote control-compatible centerpiece lighting can add a dramatic effect at celebrations inside or outdoors. Line walkways with remote control-ready Luminara wax candles that flicker for the look of real candlelight. Drench a wall in colorful light with our wall wash light projectors. We have all the batteries and adapters you need, too.